Candle gift hamper containing 6 T Lite, 1 laddu shaped and 2 flower shaped candles. Light up and decorate your home with this candle gift hamper containing 6 T Lite, 1 laddu shaped and 2 flower shaped candles. 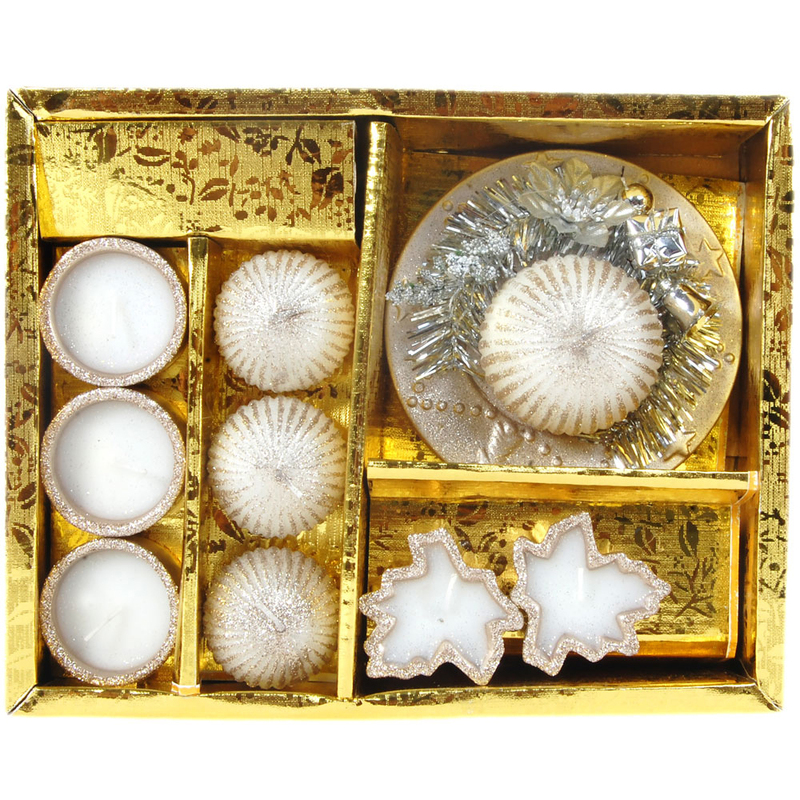 This candle gift hamper containing 6 T Lite, 1 laddu shaped and 2 flower shaped candles will comprehensvely dispell darkness from your home, and also Read More..enhance the decor of your home on this auspicious occassin of diwai. The candles can be an ideal gift to your near and dear ones on such a festive occasion of lights, and colour. You will be remembered for your gift for a long time to come. Show Less..